According to local legend, the barrier island of Sanibel once served as a den for pirates, but today the three-mile causeway of Sanibel Island attracts vacationers and full-time residents looking to match gorgeous natural scenery with a very comfortable pace of life. Sanibel Island real estate is located just a short drive from Fort Myers, and all of the dining and shopping experiences of that city are nearby. However, the island's beaches and sunsets are such a perfect escape from the clamor of city life that you'll have trouble leaving. Sanibel homes for sale include some of the finest Southwest Florida waterfront homes and golf properties you'll find anywhere. Even within such a small community, there is a great variety of single-family residences that can accommodate families large or small. Many retired residents also quickly discover that it's hard not to relax when you live on Sanibel. Read about all current Sanibel Island homes for sale below, or explore more about why Sanibel Island real estate is so popular. More affluent homebuyers should look to the many waterfront estates in the region, which often provide direct private access to the beaches of Sanibel and Captiva. These architectural masterworks are often custom built with unmatched luxury features that maximize the comforts of Southwest Florida. They make possible the kind of first-class living that only a select few get to experience. Whether you're looking for an island getaway or a permanent place to settle, Sanibel Island real estate typically offers two to three bedrooms and full baths that make it easy to entertain guests or visiting family without stress. Of course, with so many luxurious features and amenities, you might just want to keep Sanibel Island to yourself. Island life is all about the water, so don't be surprised to learn that people who live on Sanibel Island can frequently be found shelling on Sanibel Beach, parasailing in the Gulf of Mexico, or fishing for snook and redfish in one of the island's many inlets. While all this activity goes on, there are wildlife reserves and refuges on the island to help preserve the natural beauty that attracts so many visitors each year. 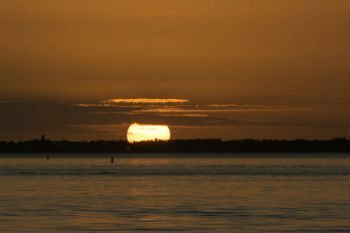 The region is also famous for its sunsets, so the more romantic beaches around Sanibel Island homes for sale attract crowds when the sun goes down. While Sanibel can feel like a small village, it's also home to over 50 restaurants, many of which specialize in local seafood. There's a movie theater on the island as well as nightly chances to listen to live music and theatrical performances. And, each year, the island celebrates the best in classical music at the Sanibel Music Festival. Sanibel Island may feel pleasantly remote at times, but it's actually just 20 miles to Fort Myers, Cape Coral, and Southern Florida International Airport (RSW). After crossing the Sanibel Causeway in a car, or boating across Sanibel Harbor into the mouth of the Caloosahatchee River, you gain access to great shopping, attractions, and many golf courses scattered around Southwest Florida. Access to Interstate 75 makes it easy to visit the rest of the state as well, from Tampa to the north to Miami to the southeast. For personable service from hard working real estate agents, contact Key Real Estate today. We're #1 when it comes to Southwest Florida homes for sale.